Rose is a dog who needed someone to believe in her — and Glorianne Lagnese was the woman for the job. In January 2013, Lagnese adopted Rose from friends after they pulled her from a shelter in Connecticut. Lagnese describes Rose as a “good dog” who gets along well with other dogs, cats and small children — but she had a lot of fear issues. Lagnese started training Rose, who made slow but steady progress. But a year later, something very unexpected happened. 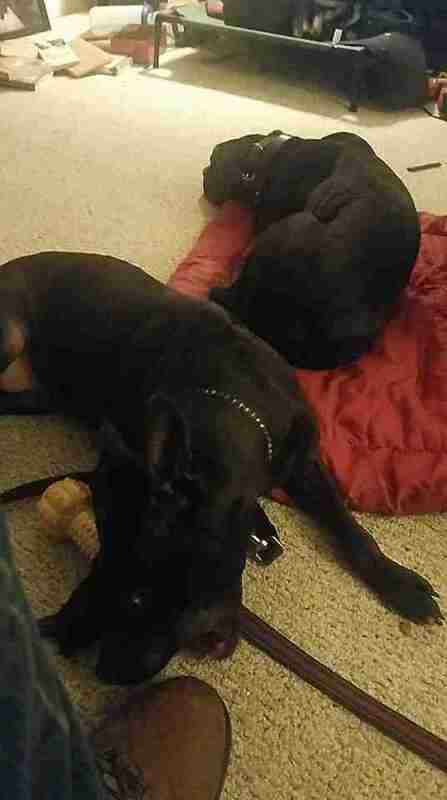 In April 2014, someone broke into Lagnese’s house and let out all of her dogs, including Rose. 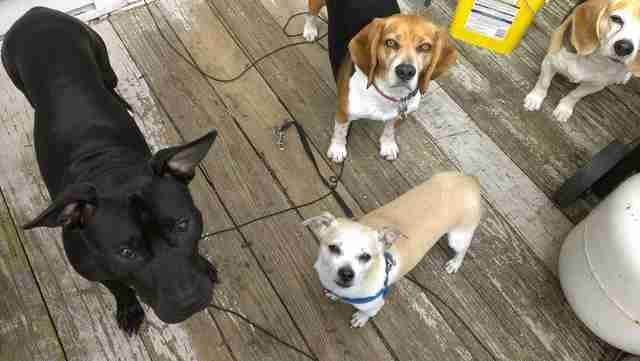 When neighbors tried to catch the loose dogs, Rose got spooked — and nipped two people. No one was seriously hurt, Lagnese explained, but the neighbors called the police and animal control officers. 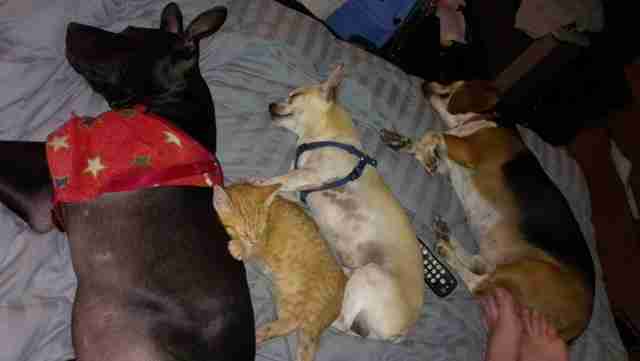 Lagnese was informed that Rose needed to go back to the shelter for a 10-day hold. Lagnese was shocked and upset, and she teamed up with Thom Page, an attorney at the Lexus Project who regularly helps dogs on death row. Page started working on Rose's case on a pro bono basis, battling for Rose’s release from the pound. The case got messy and complicated, and it was eventually transferred to the federal courts. Meanwhile, Rose was suffering at the shelter. She spent all day and all night locked up in her kennel without a soft bed or any toys. She also didn't receive any medical attention, according to Page. 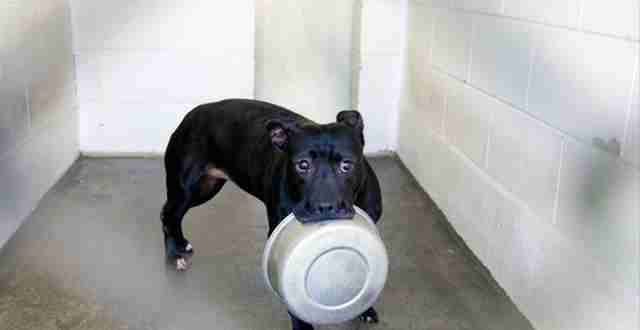 To comfort herself, Rose would pick up her metal food bowl and hold it in her mouth. When Lagnese and her husband tried to visit Rose, the staff only allowed them to see Rose in her kennel from behind a fence. Time passed — a lot of it. 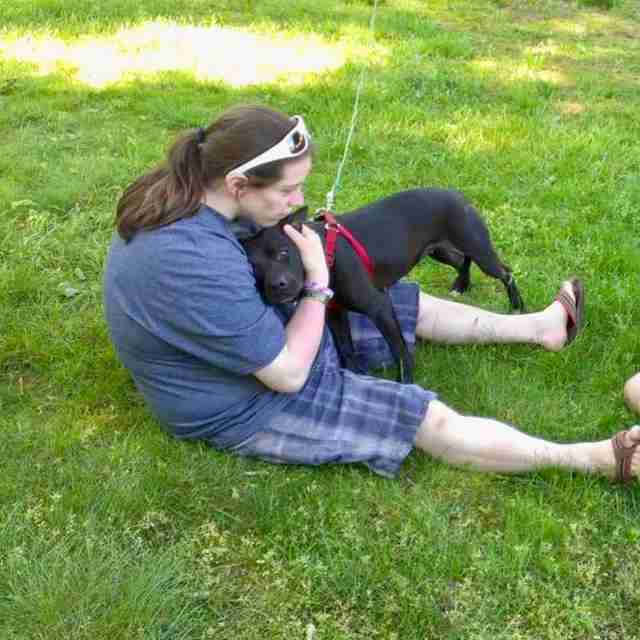 In fact, it took four and a half years before Rose was finally released from the pound. In order to negotiate Rose’s freedom, Lagnese had to relinquish her ownership of Rose. However, Furry Friends Foster and Rescue, which is run by Lagnese’s friend, Leslie Rich, agreed to take Rose into their care. Page also arranged for Rose to be fostered by professional dog trainer Allen Szykula, in order to satisfy the courts. Page, who worked tirelessly on Rose’s case, said he's "elated" that Rose is finally free. Rose is about 7 years old now, and she's adjusting remarkably well to her new life outside of the pound. Rose has many months of training and rehabilitation ahead of her, but she will be eventually be up for adoption — and Lagnese wants to make sure she finds the best possible home. “I want a home that is going to take her out for walks and love her and give her treats and let her sleep on the bed … and just let her be a dog, because that’s what she should have had all along,” Lagnese said. 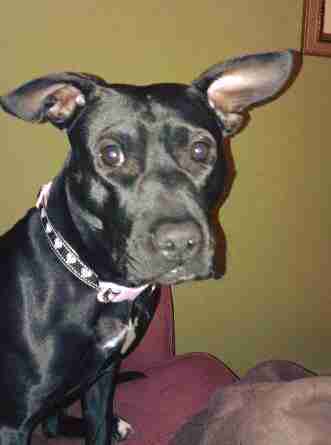 If you’re interested in adopting Rose, you can contact Furry Friends Foster and Rescue.